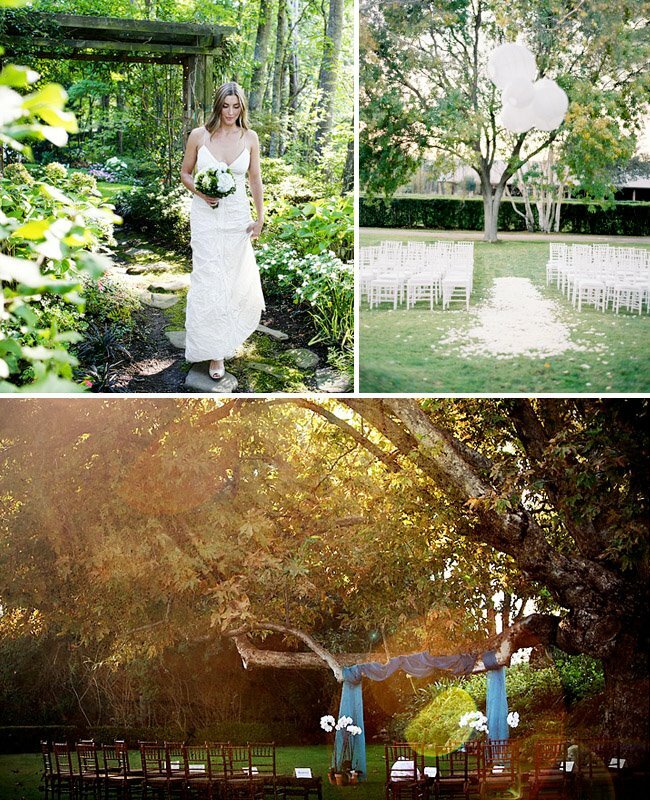 This week is going to be all about throwing a Backyard Wedding! I love the idea of a beautiful wedding right in your parents backyard – or a friend’s backyard – or even renting a private residence. The right backyard definitely makes all the difference for this! 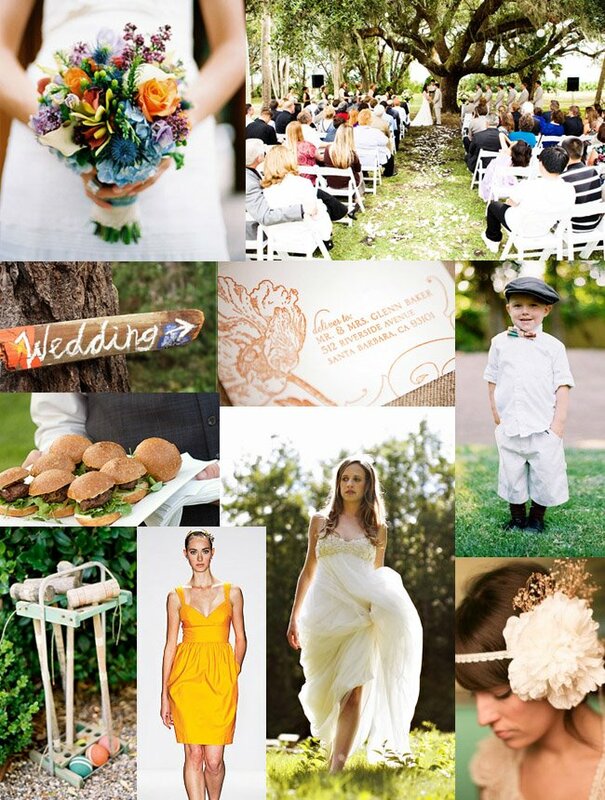 To start the week, here is an inspiration board for a chic summer backyard wedding. OMG! Love it. Just what I picture for my late summer wedding. Thanks!! Love this board! I am currently working on my wedding sign and so I find that one very inspirational. Thank you! This inspiration board is great. I love the wedding dress. i love this board! i hope my wedding is VERY similar! the only exception would be veggie burgers instead of hamburgers! lovely! thanks for sharing! i love the organic, natural look… gorgeous! !